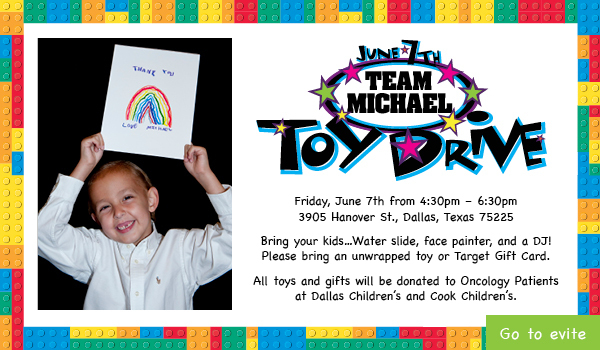 In honor of Michael Malone’s 14th Birthday, Team Michael presents the 7th Annual Team Michael Toy Drive, benefiting the oncology patients at Dallas Children’s and Cook Children’s. We are asking that each guest bring one unwrapped toy or gift card to the event. When these children endure difficult procedures and treatments, their reward is to pick something from a prize closet. Our goal is to fill these prize closets with special gifts for the rest of the year. We are blocking off the Malone’s street and having fun activities for the children, including a water slide, face painter, glitter tatoo artist and a DJ! Please feel free to pass along this invitation to your friends and family, if they would like to participate. For those of you that will not be in town or do not live in the Dallas area, you can mail in a Target gift card to the Malones, and we will do the shopping for you! Any and all toys are welcome. Gift cards are encouraged! They make the best gifts for teenage cancer patients, and we can use them to fill in gaps for toys that are special requests from the hospitals. Think small — things you can play with in a hospital bed. Thank you so much for helping us continue this very special tradition. 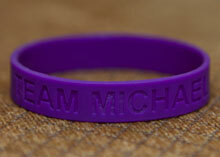 Email us to Order a Wristband. 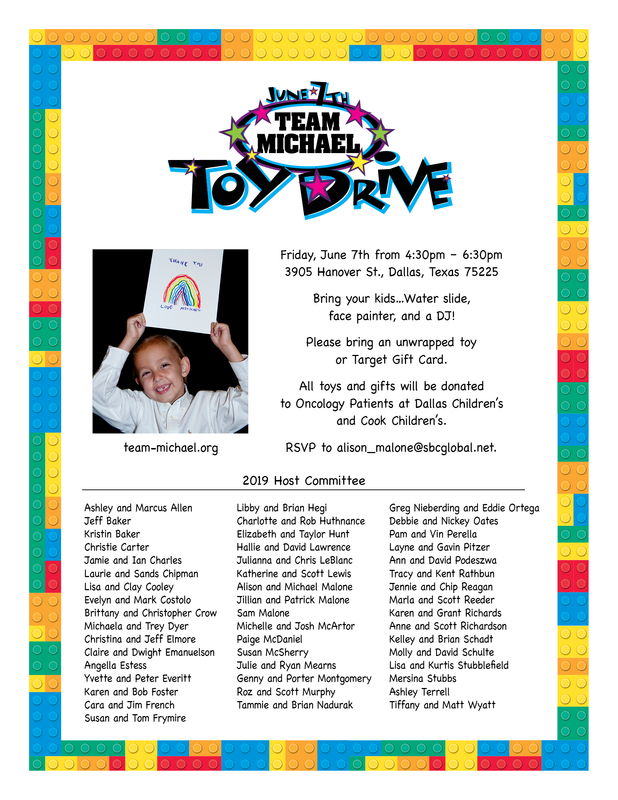 Team Michael Toy Drive 2018 — Thank you!